I visited Tokyo last month and was hoping to meet illustrator Aunyarat Watanabe. We didn’t get to see each other, because of her travel schedule, but she was kind enough to send me one of her children’s books Maaaps. My daughter is very young to enjoy this book, but I am sure she will once she is a little older. Aunyarat is a Japanese freelance illustrator who lives in Tokyo. 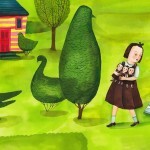 Her passion for art and illustration, took her to Sydney, where she did a course in graphic design at Martin College. 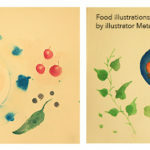 She does some pretty cool work and her illustrations have been featured in the website, They Draw and Travel. 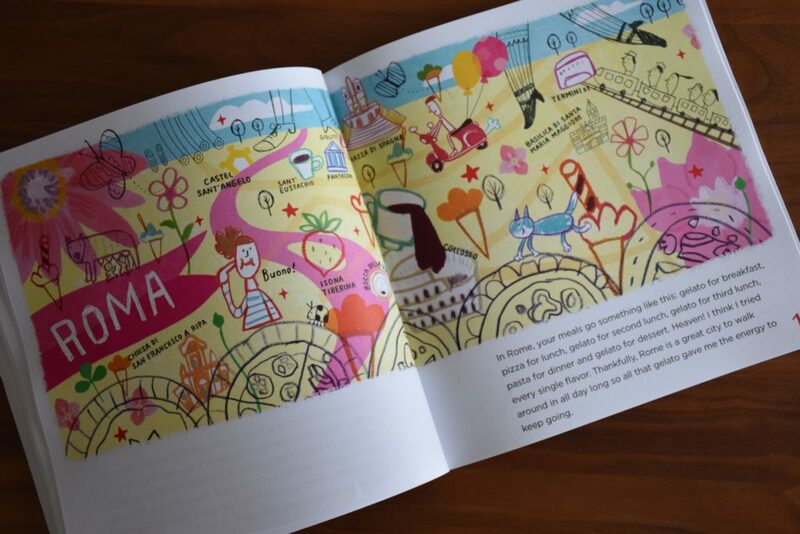 Her illustrations are cute and colorful, which appeal to young children. 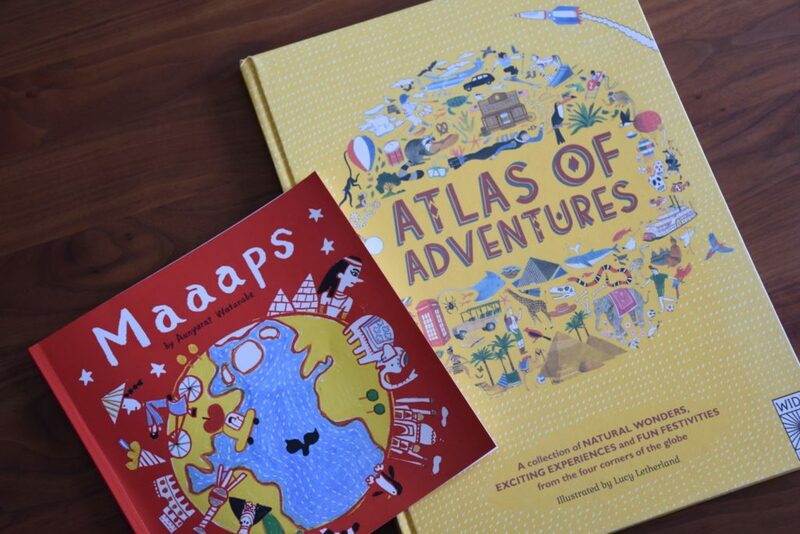 “Maaaps is a collection of the illustrated maps that I submitted to They Draw & Travel, a website founded by Nate Padavick and Salli S. Swindell. They offered me this wonderful book project. Maaaps didn’t specifically target children, but we realized kids would love the simple illustrations. So we designed a kids-friendly version, with simple language and put in a blank page for kids to draw.” says Aunyarat. This book took me back to some of own travels. I was reminded of my trip to New York with my husband. My most vivid memory of New York is Central Park, a quiet oasis in the middle of a fast paced city. Aunyarat’s illustrations on Rome, also brought a smile to my face. 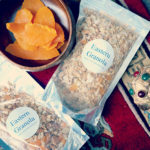 I remember the gelato pit stops we took, during our family trip many years ago. 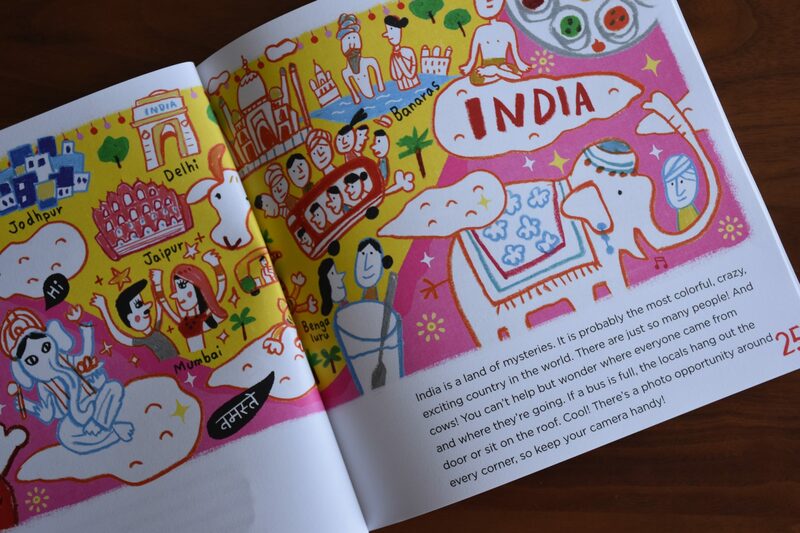 I was excited to see India featured in the book too, depicted by Ganesha, Taj Mahal and the holy bathing in Benaras. It would have been helpful if there was some more information about the places mentioned. What’s missing in the book is the lack of information about each place that is featured. To really enjoy the book though, you would have to have visit the places mentioned. Another coffee-table style travel book I totally recommend is ‘Atlas of Adventures’ by Lucy Letherland. As compared to Maaaps, this book provides more in-depth information about different countries. 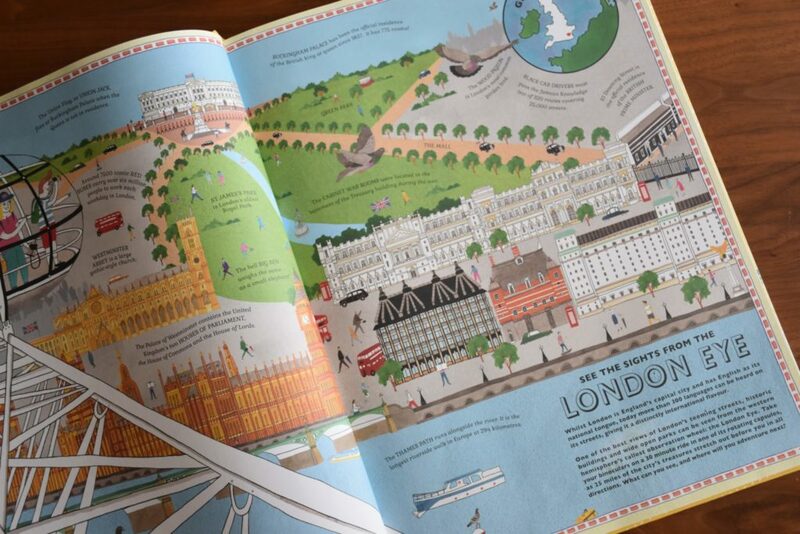 The book highlights cultural traditions, natural wonders, and city sights, from countries around the world. I love the illustrated version of London, a city I spent a lot of time in, during my college days. 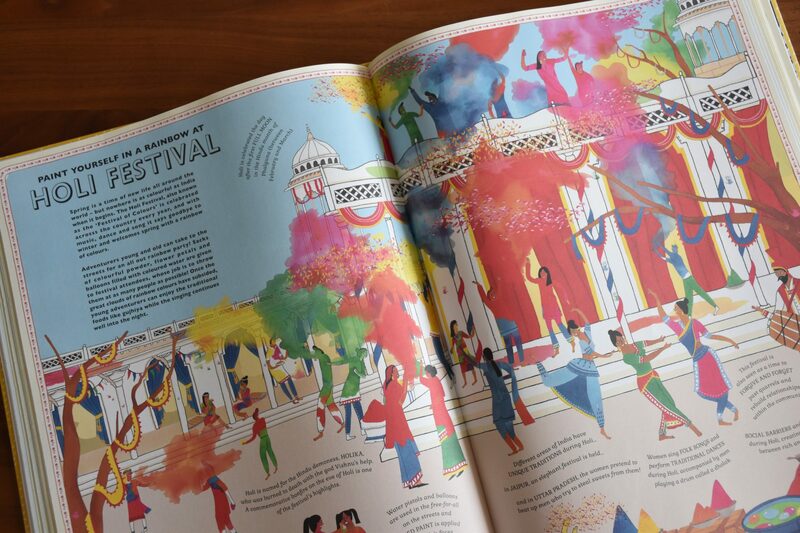 The Holi festival from India is also wonderfully illustrated, and brings back memories of celebrating Holi as a child, and now with my little one. Both books inspire me on the many places we have never been to, but would love to visit. Do you have any favorite travel books to recommend?